Imagine a crop worth £900 per kilogram being grown in a secret location just south of Edinburgh and the next thought might be that there was the whiff of something illegal in the air. In fact it is far from it. The crop is one of the world’s greatest culinary delicacies and its new- found ability to thrive in Scotland could well herald the start of a profitable industry. The summer, or burgundy black, truffle is normally associated with the oak forests of continental Europe but seven years of work by researchers from Mycorrhizal Systems (MSL), working in partnership with local farmers has culminated in successful seeding of the Scottish site. Now the first truffles have been harvested by a newly trained dog and his handler. The aromatic fungi had been growing in the root system of native oak trees specially treated to encourage truffle production. In part the success is due to climate change as the natural habitats in Europe have been affected by drought. This has led to falling truffle yields just as global demand is rising. The other major factor has been the technology developed by MSL. Truffles naturally grow below ground in a symbiotic relationship with the root system of trees in soils with a high limestone content. However it has now been proved that acidic soils, such as those found in many parts of Scotland can be made suitable. Dr Paul Thomas, a research associate of the University of Stirling and director of MSL has been cultivating truffles in the UK for the past decade, firstly in central England and then in Wales. This is the first time it has been achieved this far north and a first for Scotland. The host tree is a native oak planted in 2010. Before planting, the tree was inoculated with truffle spores, and the surrounding soil was made less acidic by treating it with lime. “This is a very highly regarded truffle species and the potential for Scotland is huge,” said Dr Thomas. The first harvested Scottish truffles were used for analysis but the largest, weighing 45 grams, was dispatched to chef Tom Kitchin of the Michelin-starred ‘The Kitchin’ restaurant, in Edinburgh. "It would be a dream come true to get a good supply of Scottish truffles,” said Mr Kitchin. They are a type of fungi that grow on the root system of living trees. They help the tree to grow and the tree helps the fungus. The favoured hosts are native oak and hazel. 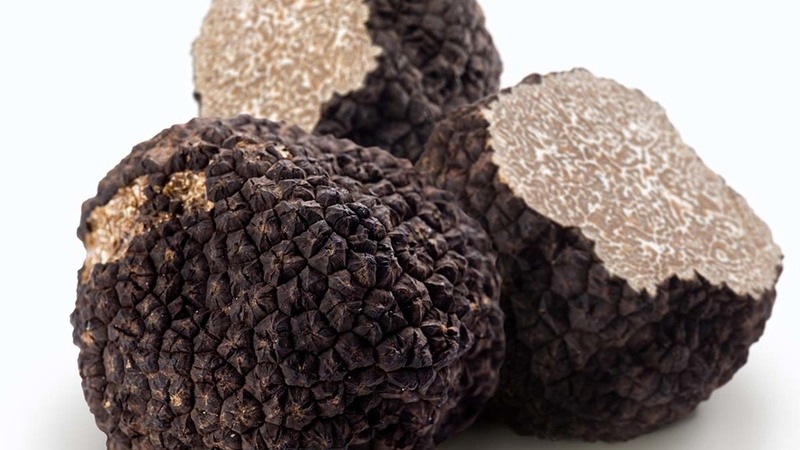 To grow truffles MSL create a sterile environment and introduce the fungus to the root system. Once the fungus is attached and growing on the root system, it is nurtured for a year before planting the trees into carefully prepared field sites. The plantations, or orchards, then have to be carefully monitored and managed.